The Crimean issue cannot be settled by someone other than Ukraine, the embattled tycoon believes. 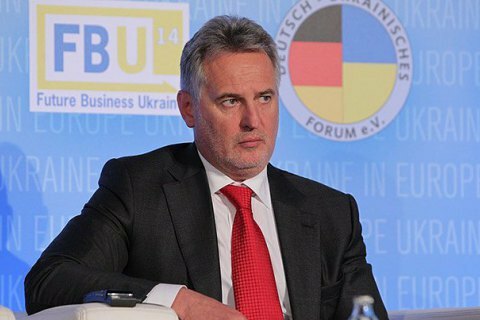 The issue of Crimea, including its status, will depend not on the opinion of the next US president but on Russia's position and Ukraine's action in this regard, the board chairman of Group DF, Dmytro Firtash, has told LB.ua in an exclusive comment. During a survey, Firtash was asked to comment on Republican Party for US President Donald Trump's statement that if he is elected president, he would consider recognizing Crimea as Russian territory and lifting sanctions on the Kremlin. "No foreign president, even that of the USA, will not bring Crimea back to Ukraine on a plate. This problem is exclusively in the domain of negotiations between Kyiv and Moscow, whether one wants it or not, sooner or later they will take place and will include a wide range of issues accumulated over the recent years," he said. "If you read Trump's statement on his readiness to consider Crimea's affiliation with the Russian Federation attentively, there was no talk on recognising Crimea as Russian territory. The presidential candidate said what he said. In Firtash's words, Trump's statement is a good reason for Ukrainians to mature. "The country will soon mark 25 years of its independence and it is a perfect age to abandon illusions and hopes for anyone, except its own," he said. "Currently. we are too weak a country to make any bets. Ukraine as a state should practise a pragmatic approach, diversifying the risks and building connections and communication with both political camps in the USA." He believes that Ukraine should be ready that the position of the EU and the USA on the Crimean issue will not be as tough as in the recent two years. Dniester region: election of "foreman"